Mitsubishi just brought the Eclipse nameplate out of retirement, but it’s not the rebirth of the brand's well-known Eclipse coupe from the 1990s. 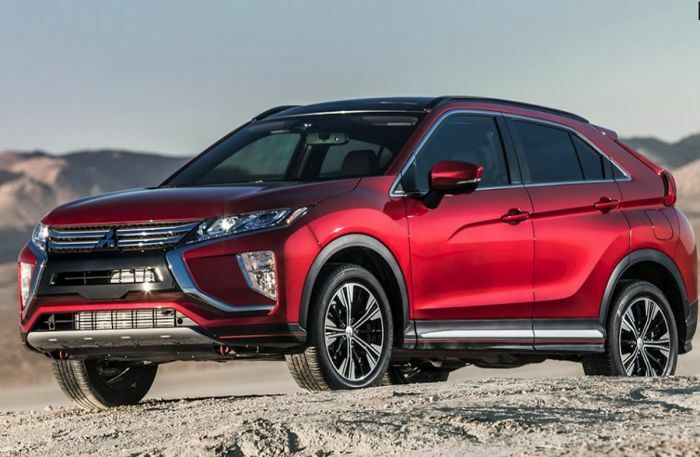 The 2018 Mitsubishi Eclipse Cross is a new compact crossover SUV that joins the Outlander and Outlander Sport in Mitsubishi's stable of SUVs. The Eclipse Cross is an all-new model for 2018. This week we drive the top-of-the-line 2018 Mitsubishi Eclipse Cross SEL 1.5T S-AWC trim. The Mitsubishi Eclipse Cross SEL 1.5T S-AWC ($27,895) comes standard with a bunch of upgrades such as proximity entry with push-button start, blind-spot monitoring, rear cross-traffic alert, illuminated vanity mirrors, heated front seats, a leather-wrapped steering wheel, a six-speaker stereo system, dual-zone climate control and a rear-seat center armrest. The SEL also comes with Mitsubishi Connect, a subscription that adds an SOS and emergency roadside assistance button and a remote tracker. It also provides the ability to remotely control climate settings, door locks, horn, lights, vehicle settings, and parental controls from a cellphone. The range-topping SEL S-AWC adds full LED headlights, leather upholstery, a power-adjustable driver's seat, a head-up display, and a surround-view parking camera system. The Touring package ($2,500), added a panoramic sunroof, an auto-dimming rearview mirror, a premium Rockford Fosgate nine-speaker stereo system, automatic high beams, and extra safety features such as lane departure warning, forward collision warning with automatic emergency braking, and adaptive cruise control. Total MSRP including destination: $31,715. The range-topping SEL S-AWC feels a lot more upscale than many compact SUV crossovers. It still comes with extensive hard plastic, a lot of which comes in piano black, but there’s also plenty of soft-touch surfaces. This top-line SEL came with heated front seats and heated steering wheel for extra comfort on cold Colorado mornings. Legroom is good for taller drivers with the adjustable seat and tilt/telescoping steering wheel and it’s easy to find the perfect driving position. Visibility is the only issue from inside with the split rear window reminding us of a Prius hatch. The new infotainment system's remote touchpad is intuitive and easy to use. The central display also works as a touchscreen. A full suite of driver aids and active safety features was included on this SEL tester. The back seat is not the biggest in the segment but adequate for two adults. We do like that the back seats have the ability to recline. 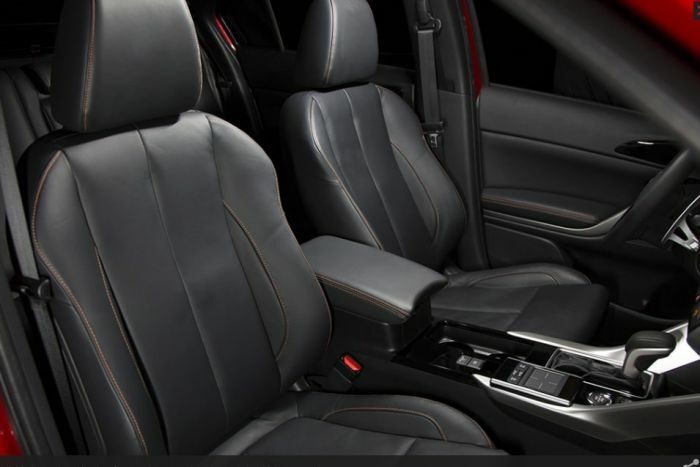 And the Touring package features heated rear seats for extra passenger comfort. There’s 22.6 cubic feet of cargo space behind the rear seat and 48.9 cubic feet with the rear seat folded down, putting the Eclipse Cross above average for this class. The Eclipse Cross is powered by a new 1.5-liter direct-injection turbocharged four-cylinder engine. Itandevelops 152 horsepower and 184 lb-ft of torque. It comes mated to a 8-speed CVT with Sport Mode. Eclipse Cross gets an EPA estimated 25/26 city/highway mpg and 25 combined mpg using regular unleaded fuel. The new Eclipse Cross is the ideal size for urban driving and commuting. We found the 1.5-liter turbocharged engine provided a good amount of power for this size SUV. We pushed the small crossover hard up I-70 traveling west up into the mountains west of Denver, and never felt the engine needed more power. And the Continuously Variable Transmission worked well with turbocharged 1.5-liter powerplant. The paddle shifters enable you to shift manually and works in concert with 8-step Sport Mode gearbox. The Eclipse Cross isn't the sportiest when pushing around tight mountain curves, but it works well in the city when navigating narrow urban streets. We thought the ride quality was a bit harsh over the dirt roads leading home, and road noise is prominent at highway speeds. We particularly enjoyed the head-up display in the new Mitsubishi SUV. This is luxury in this class and helps the driver keep eyes on the road making for a safer commute in traffic. The all-new 2018 Mitsubishi Eclipse Cross SEL 1.5T S-AWC is a smart new entry into the popular compact SUV/Crossover segment. It comes with plenty of standard features and an easy-to-use infotainment system. The 1.5-liter turbocharged engine delivers peppy performance and the CVT automatic doesn’t wind up like the competition. The down side is the split rear wind is hard too see out of, and the ride quality is a bit rough over broken pavement and dirt roads. The fuel mileage is also less than other compact vehicles in this segment. The top trim SEL comes with a host of safety features giving driver confidence in heavy city traffic. Top trim-level pricing can get pushed up with top Touring package.